A new review on NashvilleScene.com takes a look at the success of Major Crimes as it goes into tonight’s chilling mid-season finale. “There was plenty of skepticism when TNT opted to retain most of the cast from The Closer two years ago, folding those characters into a spin-off titled Major Crimes. The biggest problem was widespread doubt the producers could create another breakout character like Kyra Sedgwick’s Brenda Johnson, whose personality and charisma often elevated otherwise routine episodes and kept the audience’s attention in situations ranging from odd or silly to chaotic and powerful. As Major Crimes wraps its second season 8 p.m. tonight on TNT, it seems the show has largely settled those doubts. Series creator James Duff slightly tweaked The Closer‘s formula in making the switch to Major Crimes, moving Mary McDonnell’s Capt. Sharon Raydor (introduced during the earlier show’s final episodes) to the forefront. Major Crimes‘ first season focused on her promotion and battle to gain the trust of her comrades, the identical struggles Johnson endured during The Closer‘s formative period. Duff added another twist with the presence of teenager Rusty Beck (Graham Patrick Martin), also initially introduced in a strong late-era episode of The Closer. Beck was and is a witness in the Phillip Stroh case, but Raydor’s decision to bring Beck into her home proved both unexpected and intriguing. The growth of their relationship has been a key element throughout the show’s second season. The program also added a new cast member in Nadine Velazquez, who portrays prickly DA Emma Rios. While Rios’ primary job is to prosecute the pending Stroh case, she often gets involved with the team’s other cases. She also frequently clashes with Raydor, because she views her ties to key witness Beck as detrimental to getting a conviction. During its first season, Major Crimes was TNT’s No. 1 scripted drama in the ratings. The program’s performance improved in Season Two, and it did so well TNT increased its episode count from the original order of 15 it to 19. Tonight’s season finale again forces Capt. Raydor to make heat-of-the-moment decisions that end in controversy. This time the squad’s after a psycho on a killing spree, with every victim earning more unwanted media attention. 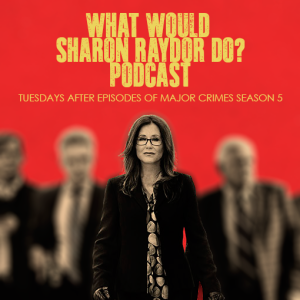 The way Raydor handles the situation will have a huge impact on both her future and that of the Major Crimes unit — but you’ll just have to tune in to see how.”"
This entry was posted in Reviews and tagged season 2 by admin. Bookmark the permalink.